Thanks Mandy for your comment..well as a first step perhaps it would be helpful, to work towards that objective, by establishing an international effort to establish. through an independent and internationally monitored plebiscite, what status for their nation the 6 million Tibetans desire. If China’s regime is confident that Tibetans given a free choice would decide to remain under Chinese rule then it would not have any objections for that to be assessed through such a vote. This is entirely reasonable and just, in that the fate of a culture and nation should be determined by respecting and allowing the voice of the people to decide any decision. As it presently stands what exists is a stagnant exchange between China’s regime and the Central Tibetan Administration, a dialogue that is entirely marginalizing the very rights and hopes of the Tibetan people. 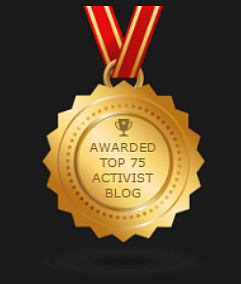 I have nominated you for a ‘Most Influential Blogger Award’,as I think you do an amazing work! That’s very kind of you and greatly appreciated.